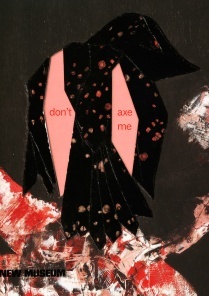 “Don’t Axe Me” is organized by Gary Carrion-Murayari, Kraus Family Curator. Support for “Ellen Gallagher: Don’t Axe Me” is provided, in part, by Michael Cohn and the American Chai Trust, and Bernard Lumpkin and Carmine Boccuzzi. Additional support is provided by the Mondriaan Fund.